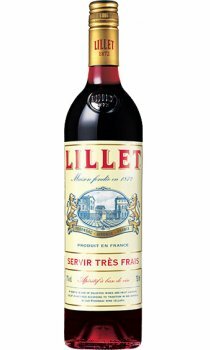 Lillet (pronounced lee-lay), is a French Aperitif made from a blend of wine, liqueurs, fruits and herbs. It originated in the French village of Podensac and has been made since the late 1800s. Lillet Blanc is made from white wine and is drier than Lillet Rouge, its red-wine counterpart. Both are classically served over ice with an orange twist. Lillet Blanc has a golden colour with candied orange, honey, pine resin, lime and fresh mint aromas.Full and rich on the palate with a lovely, long aftertaste. Always serve well chilled in a Bordeaux wine glass... zest with a slice of orange or lime. Perfect with snacks and desserts!